Now that legal weed is a fact of life in California (at least for the time being), there’s something of a gold rush underway as companies compete for dominance in the new marketplace. One way some brands are distinguishing themselves is by packaging cannabis as a chic wellness product instead of something illicit or countercultural. Behind many of these emerging companies are female entrepreneurs, who want you to see cannabis as a natural part of self-care, right alongside your stylish skin creams and cold-pressed juices. 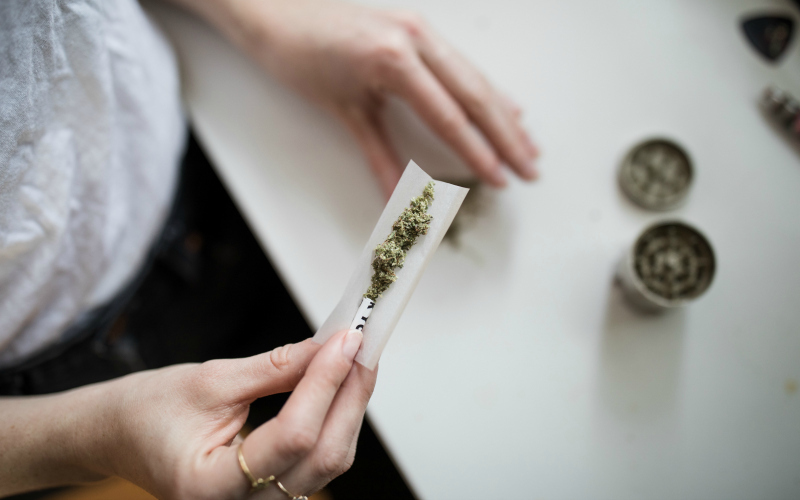 Many women also say they feel drawn to the emerging cannabis industry because it allows them to launch businesses that combine commerce with caring. While these entrepreneurs are disrupting the cannabis marketplace with their modern approaches, some have encountered the same challenges that female founders face at start-ups in other fields—and the influx of corporate cash associated with the legalization wave may actually be making it worse. 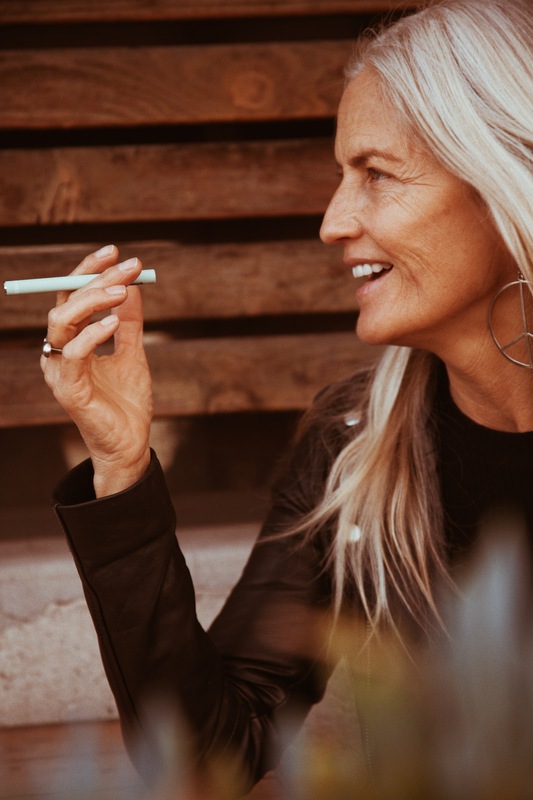 And, while we wait to see how the market shifts, it’s a perfect time to do business with the woman-founded brands based here in Southern California that are out there now, giving cannabis an approachable makeover. Melanie McGraw founded her Silver Lake-based company with partner Aaron Burke in 2015. She was a designer and filmmaker before entering the cannabis industry, and worked for what’s thought to be the world’s highest-grossing dispensary, Harborside Health Center, before launching her own brand. The Monk line features individually packaged tonics in flavors like rosemary-orange peel, turmeric-lemon, and grapefruit-cayenne, that they describe as bottled craft cocktails, but with cannabis instead of alcohol. All the cannabis used in the process is carefully sourced as fully pesticide free and sustainably grown. When Cindy Capobianco and her husband and co-founder Rob Rosenheck started going to medical dispensaries in 2001, they noticed a gap in what was available. Capobianco wanted a low-dose edible that was reliable, consistent, and made with the quality standards of an artisan product. Eventually, they decided to fill that hole in the market with Lord Jones. The brand produces confections in CBD and THC blends that they say are appropriate for any cannabis user looking to manage pain, anxiety, sleep, or mood. The smartly packed edibles and CBD-infused lotions were even selected by the Standard chain of hotels as the first in-hotel cannabis offerings. Co-founders Kate Miller and Anna Duckworth probably wouldn’t call their online magazine and lifestyle brand “the Goop of cannabis,” but we will (and we mean it as a compliment). The stylish site features articles about integrating pot into one’s wellness routines, chef-curated recipes for infused dishes, and profiles on women who grow, sell, and use cannabis in a variety of ways. Accompanying the site’s content is an e-commerce shop stocking coffee-table-worthy cannabis accessories in shades of gold and pastel pink, and CBD-rich beauty products, like the I Pekar Tissue Repair Facial Serum ($148), which combines cannabis oil with other natural extracts in an age-prevention concentrate. For women who want to make cannabis part of their social lives, but want to feel like they’re in a safe and positive space, O.G. Girls Club is an all-female collective that hosts pop-up events in and around L.A. Request membership in the club and you may be treated to invitations to events which combine “multi-sensorial experiences,” for women to build friendships, and raise money and awareness for social causes at the same time. Marijuana is certainly on the agenda, if you want to partake, but doing so isn’t required to attend the party. And the “O.G.” in the name? That stands for Original Goddess, of course. Sagely Naturals specializes in CBD-rich products that work to treat pain and inflammation with natural ingredients. The two women who launched the Santa Monica start-up when they realized that, while almost one in three Americans suffers from symptoms of chronic pain alone, many of the cannabis-based treatment options were unappealing, poorly packaged, and lacked transparency in sourcing. Plus, the offerings at the local dispensary seemed like they catered to a “stoner dude” stereotype that didn’t fit with how they saw themselves. They got to work launching an organic line using only the non-psychoactive cannabis derivatives, and it now fits in on the shelves at Erewhon and Lassens stores, right along with other high-end natural body care items. Chief Innovation Officer SoYoung Park arrived at Santa Monica-based dosist after stints at corporations like Disney and IDEO. She was brought on to drive the company’s research into building a cannabis product that removed any guesswork or inconsistency. The result is a shiny white pre-filled “dose pen,” as sleek as any tech company’s hardware, which comes filled with a customer’s selection from six different formulas. The options are each blended for a specific experience, like helping you fall asleep, managing anxiety, or aiding in pain recovery. Among the most popular are the brand’s Passion and Arouse blends, designed to increase arousal and sensuality, which have resonated strongly with female customers.